Home » Television » DVD Info: Release date, cover art for Jake & the Fat Man. 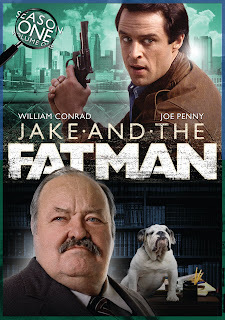 DVD Info: Release date, cover art for Jake & the Fat Man. Paramount has announced they will be releasing season one, volume one of Jake and the Fatman on July 8th. Veteran district attorney “Fatman” McCabe (William Conrad) solves cases in Los Angeles with the help of his easygoing private investigator partner Jake Styles (Joe Penny). SRP is $4299. Package is 3 discs with 11 episodes.